When you want an easy dessert, ice cream can be a great idea. Ice cream is one comfort food that no one can deny to. Ice cream with brownie surely wins some brownie points. This raksha bandhan enjoy rum and raisin treat. There's hardly anyone that doesn’t like ice-cream. No matter what occasion it is, no matter what mood you are in, you cannot say ‘no’ to ice cream. Ice cream is the best comfort food that can instant elevate your mood. So, this raksha bandhan, try this lip smacking rum and raisin ice cream. Take a bowl and mix the rum and raisins together. Keep the mixture aside overnight. Now, to make ice-cream, take a blender. Add milk, cream, egg white, liquid sugar and vanilla extract together in the blender and blend until the mixture is fluffy and thick. Take a bowl and place the mixture in it. Freeze the mixture for about 2 hours. After it is frozen take it out and beat it again, until it is smooth. While beating, do remember to add the rum and raisin mixture to it. Place it back in the freezer to freeze. Garnish with raisins and serve chilled. This raisin and rum ice cream would be a complete package with rum and raisin brownie. 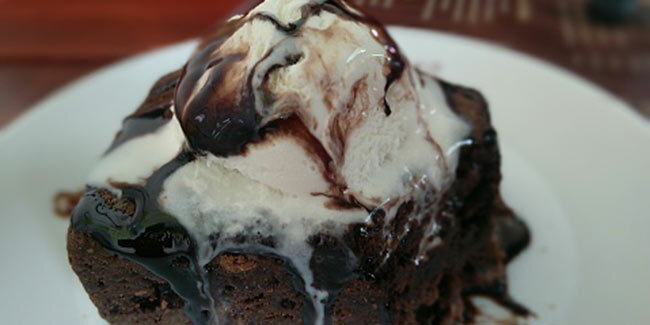 Yes, without wasting much time, you can have the delectable combo of rum and raisin ice-cream and brownie. Preheat the oven to 165 C. grease the baking tray or place a parchment paper. Take a bowl and pour in the rum. Soak the raisins in this rum and keep aside. Take a small pan and heat the whipped cream, do not boil, just heat it slightly and remove from the flame. Add the chocolate chips in the cream and stir it. Keep stirring until the hot cream is melted. Now, keep aside. Take a deep bowl; add the flour, cocoa powder, brown sugar, grounded cinnamon. Mix it all well. add the eggs in this mixture and beat it. Now add the chocolate chip mixture into it and again beat it. now, add the rum and raisin in this batter and again got it a stir. Spread this mixture into the baking pan and bake it in the preheated oven for about 30 minutes. You can now enjoy your brownies with rum and raisin ice-cream. Read more articles in Healthy Recipe.